In Dragon Drop, dragons roam the skies marking possible sheep targets in the fields below. They are also looking to scare any peasant farmers who stand in their way in this no download slot by NextGen. You are a knight and your mission is to vanquish these dragons. The dragons pillage the peasant farms, but they also leave some treasures behind which you will have to be on the lookout for. Other rewards include wilds, scatters and two exclusive bonus features – Dropping Dragons and The Sticky Dragon Feature. NextGen first came into the market in 1999, right at the onset of the online casino slot industry. It has its headquarters in the UK, but serves a global marketplace like markets in Sydney and Stockholm. NextGen provides modern customizable gaming solutions to globally land-based and online casino operators as well. Their games are reliable solutions for most operators and are also popular among many punters. NextGen licenses most of their slots games to other software platforms which support many online casinos, so it’s not uncommon to play NextGen slot games at say, an Aristocrat-powered casino. Dragon Drop may sound a little scary because of the aspect of dragons, but the theme doesn’t reflect that at all. The game has a light-hearted feel to it. The dragons are designed to look rather cute. Other symbols include a castle, sheep, a knight and a chest of gold coins. 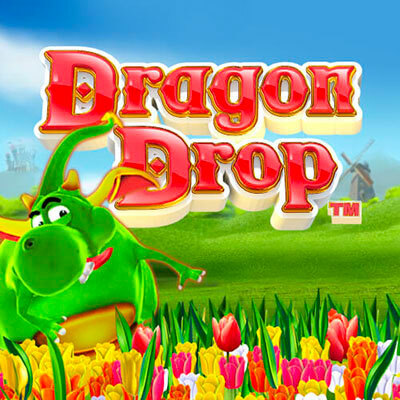 Start off by matching letters and numbers dropped in the fields by the dragons. If you find 3 to 5 matching A, K, Q, 9, J, 10 symbols, the rewardwill be between 5x and 200x your bet. Save 5 sheep and you get 250x your stake. The same reward goes for saving 5 peasant farmers. If you land 5 chests of gold coins, the payout is 5,000x your line bet. You also have a duty to protect the local castles from catching fire. Stop 5 from getting burned and you win 500x your stake. The game has a high volatility so it’s not uncommon to end up having winning streak after winning streak. Wild symbol- There’s a trio of hanging dragons that acts as the wild. They drop down on the 2nd, 3rd and 4th reel to substitute all symbols except the scatter.All winning combinations that the dragon has formed doubled. Scatter symbol- Dragon eggs are the scatters. Find 2 and the reward is a 2x multiplier for your stake, 3 pay 5x, 4 pay 20x and 5 pay 100x your stake. 3 scatterscan also activate 8 free spins in the Sticky Dragon Bonus. Any dragons that drop down during the feature remain in place for the rest of the free spins. If you land multiple dragons at the same time, you can win up to 1,844x your stake in this round. Dragon Drop has captured the visuals well. The cartoon imagery is well executed and it’s sharp and clear against the white reels and rural looking background. The cheerful soundtrack sets a fun atmosphere. The features aren’t really extensive, but the free spins can be highly lucrative if one manages to score multiple sticky wilds early in the feature. This is a medium variance slot so don’t expect huge wins, but cute graphics, smooth gameplay and a decent free spins round.